Here’s a wonderful new listing offering ultra-quiet living in the country with all the amenities of town at your fingertips. 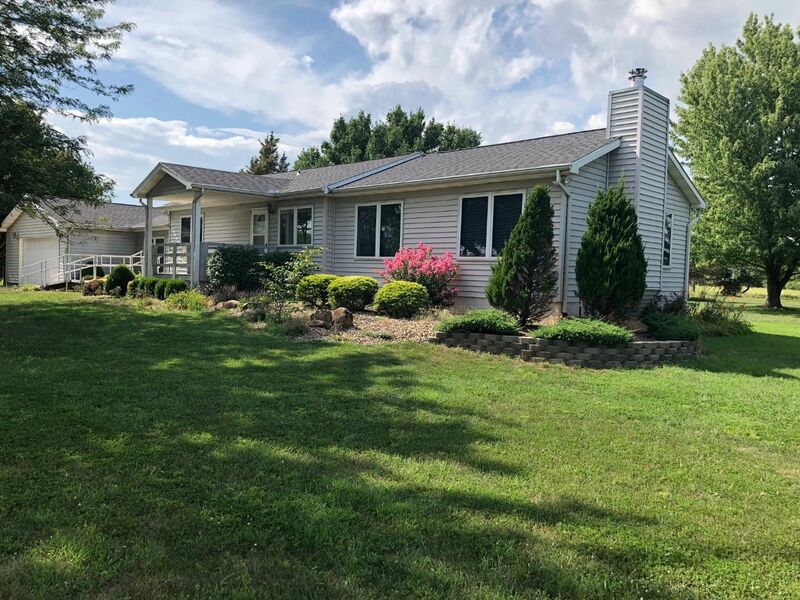 This is a hard to find type of property with an attractive and updated home situated on five acres just west of New Strawn and approximately 5 miles to Burlington. The home consists of 1,248 sq. ft plus a partial basement and was constructed in 1964. It has had tasteful updates throughout as well as the addition of a spacious living room on the east side with a fireplace. There’s a wood-burning fireplace with an electric insert currently installed. Just off the addition is a beautiful sun room/patio with French doors that provides a great place to relax and watch wildlife or entertain guests. The home is currently arranged with one bedroom and two full baths but there is plenty of space for transformation into another bedroom in the basement or the office. The roof of the home is in excellent condition, having been replaced down to the decking four years ago due to hail damage. Towards the west end of the home is a finished breezeway currently set up as a sewing room and to the south of it is a nice office with French door entry. Adjoining this is a temperature controlled two car garage that has a quality set of cabinets with organization system and workbench that stays with the property. The appliances sell with the property and includes a central vac system. A new furnace was installed in 2014 and the hot water heater was new in 2012. The residence is situated on 5 surveyed acres that features multiple impressive shade trees and is bordered to the east and south by Corp of Engineers property so there are no neighboring homes coming in the near future. The sellers are retaining the adjoining property to the west and north but have no plans to build or sell it. Call Cameron for a tour! Driving Directions: From Burlington: Go north on Hwy 75 for 3.5 miles to 16th Rd and turn west. Proceed 1.25 miles and the property is on the north side.